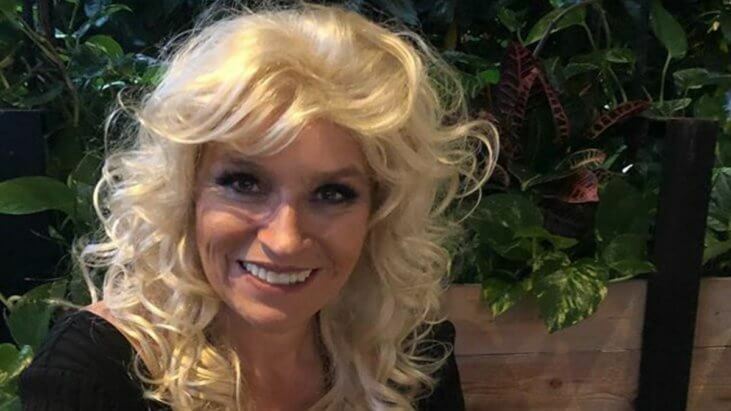 Beth Chapman is smiling for the camera after her hospitalization for fluid build up in the lungs, related to her ongoing battle with lung cancer. “Don’t forget the reason for the season,” she wrote in an Instagram post. A lot of people in the SurvivorNet community go through a series of cancer-related hospitalizations, when something unexpected goes wrong. That’s what happened to Beth, reality television bounty hunter, according to her husband and co-star Dog The Bounty Hunter. After a buildup of fluid in her lungs created a lot of pressure, Beth went to the hospital, and doctors performed an operation to help relieve the pain. While we don’t know the specifics of Beth Chapman’s case, we do know that the most common kind of fluid buildup that can happen during lung cancer is what is called “pleural effusion,” or fluid buildup around the space between the lungs and the chest wall. When this happens, the fluid can push on the lungs and create a lot of pressure. Doctors can try to drain the fluid by inserting a needle or a tube into the affected area. They can also insert something called “talc,” which helps the layers of tissue in this area stick together, and prevent fluid from building up. In the most difficult cases, doctors might opt for surgery to redirect the fluid to another part of the body, or to remove the tissue in the area. Chapman was initially diagnosed with throat cancer in 2017. She had surgery, and was declared cancer free. But in 2018, Beth learned that her cancer had spread to the lungs and had moved to stage four, after she was rushed to the hospital for difficulty with her breathing. Since her cancer diagnosis, Beth and Dog have stayed committed to each other and to the bounty hunting life. As recently as one day ago, Beth posted a photo on Instagram of “his and hers” bounty hunting armor. And last week Dog published a photo of a happy and vigorous looking Beth, whom he labeled “Property of Dog”.